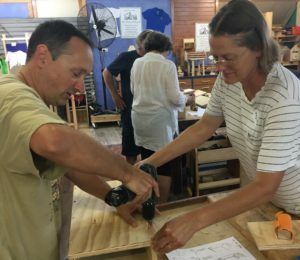 In December last year a group of 10 people made habitat boxes at a CMN workshop with the assistance of Jo Saccomani from Two Sheds Workshop. 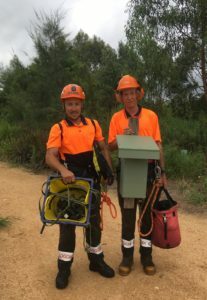 A total of 20 boxes have now been installed by local arborists along the Bega River, the old Bega Racecourse and adjacent wetlands, Spenco Lagoon and the Anabranch. This project, which was funded through the National Landcare Program continues the Bega River and Wetlands Landcare Group’s restoration of the Bega River area. 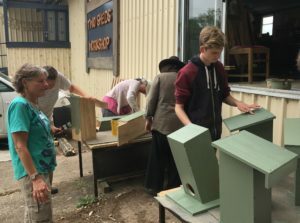 The boxes are designed for micro bats, Sugar gliders and Crimson rosellas, and will provide nests and roosts in younger trees planted over the last 25 years by Council and community members. These trees will take around 100 years to develop natural hollows for nesting and roosting. The boxes will be monitored by the Bega River and Wetlands Landcare group through dusk surveys. 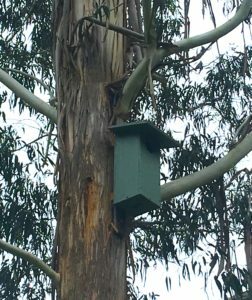 If you’d like to adopt a box and participate in monitoring, contact Erin Moon by emailing begariverandwetlandslandcare@gmail.com. If you’re interested in building your own habitat box, plans and information can be found on the CMN Website’s native animals resources page.